This historic village inn boasts superb views from its gardens. The menu changes daily and wherever possible the food is locally sourced. Most of our 13 bedrooms have four poster beds and exquisitely appointed bathrooms. 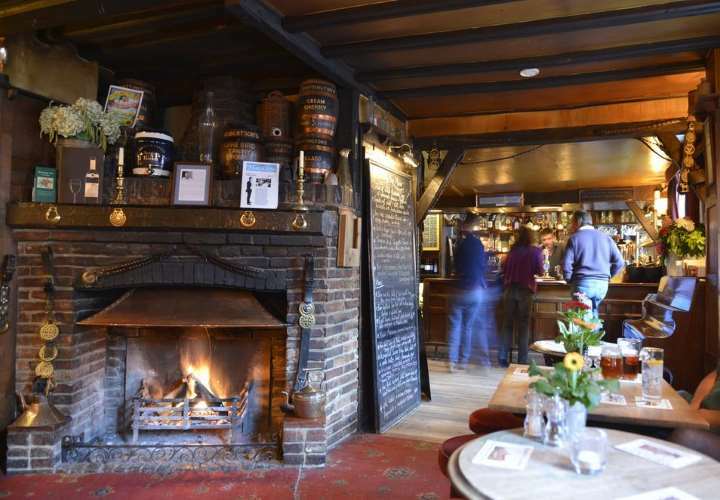 Once a renowned meeting place for smugglers, this famous 13th Century inn oozes character with its oak beams and open fires, cosy bars and lounges. The restaurant serves modern cuisine using fresh local produce. This beautiful 16th Century inn oozes charm and character with its cosy bars with wooden floors, open fires and low beamed ceilings. An extensive menu is served twice daily and all day on Sunday. As well as a large garden, the inn has three recently refurbished double en-suite bedrooms, and free wi-fi internet access is available. A perfect base from which to explore Hastings and the East Sussex coast. Situated 2 miles outside Rye near the East Sussex coast, the historic Bell at Iden offers just two delightful en-suite guest rooms in a converted stable block. This quiet country inn serves good home-made food using locally sourced produce where possible, and a choice of real ales. Conveniently located for Ashford and the Eurostar (35 minutes drive). 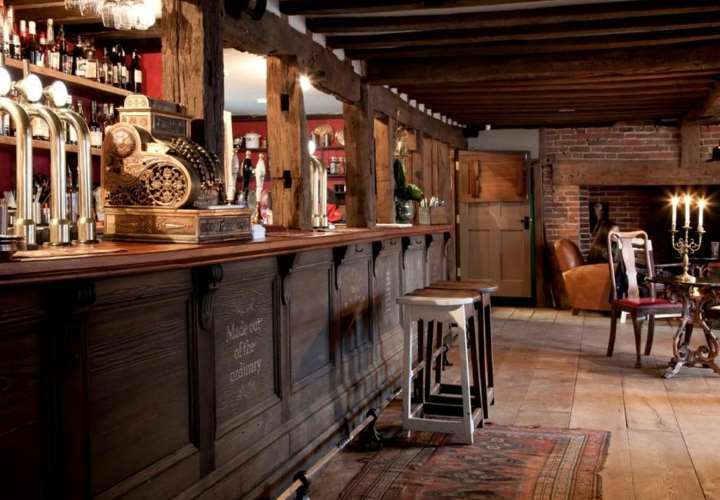 One of England's oldest and loveliest inns, rebuilt in 1420, the Mermaid simply oozes tradition and charm. This famous inn boasts a wide range of accommodation including rooms with four-poster beds and fascinating secret passages! The AA Rosette restaurant serves fine British and French cuisine using only the freshest of local ingredients. For many years The Mermaid has been frequented by artists from the stage and screen: Charlie Chaplin, Pierce Brosnan, Andy Garcia and Johnny Depp to name a few. 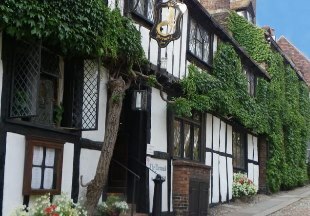 This lovely 16th century inn sits at the foot of the famous Mermaid Street in the heart of Rye. 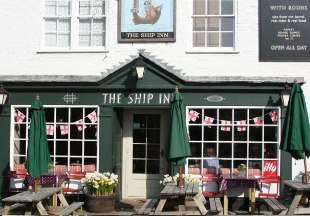 Boasting ancient beams and original wooden floors, the Ship serves real ales and cider from the barrel to accompany the traditional homemade food with specials that change daily, from fish and chips to lobster, and from toad in the hole to haunch of venison. The Bell in the pretty village of Ticehurst is just 15 minutes drive from Batemans, the home of Rudyard Kipling. This unique, quirky and quaint hotel even boasts a silver birch tree in every room! 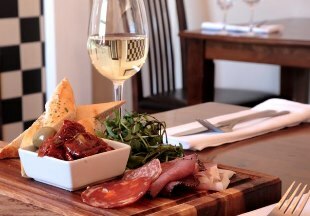 The restaurant serves English cuisine accompanied by an extensive choice of wines and real ales. East Sussex is 1066 Country. The Battle of Hastings took place here in October 1066. Well, not actually at Hastings but a little inland at Battle, where you will find Battle Abbey, built by William the Conqueror on the spot where King Harold is said to have died. There is much more to East Sussex than the Battle of Hastings. Visit the lively resort of Brighton, stunning Hever Castle, impressive Fishbourne Roman Palace and magnificent Arundel Castle. Explore Rye, one of the Cinque ports and a well preserved medieval town, home to cobbled Mermaid Street and the famous Mermaid Inn. Walkers will enjoy the ancient woodland and beautiful countryside of the Sussex Weald. 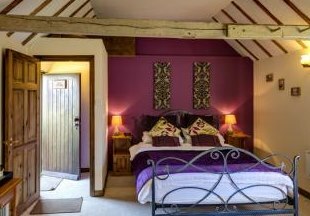 We have handpicked a selection of some of the best hotels and inns in East Sussex for a great choice of accommodation. Featured below are ancient inns, village inns, smugglers inns - even an inn with a silver birch tree in every room! "Many overseas visitors prefer to stay in local inns and historic hotels in order to experience the 'real' England. 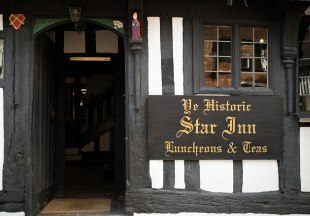 Hotels such as the Star Inn at Alfriston can boast over 800 years of history. 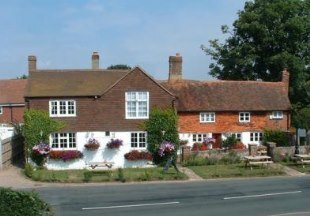 And for a real taste of rural England, visit the pretty East Sussex village of Fletching and the Griffin Inn - it even even has its own cricket team!" East Sussex is bordered by Kent, Surrey and West Sussex. 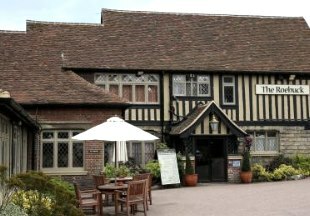 If you want to widen your search, why not browse through our selection of hotels and inns in Kent, Surrey and hotels in West Sussex.